Woot! I am currently on Day 12 of my 15-day vacation in the Philippines. Aside from the sightseeing and the road trips, I also have to run some errands during my stay. My PRC ID expired 7 months ago. I actually thought of skipping this errand because of the heat and traffic jam and all the hassle that is Manila and public service. But I changed my mind after learning that if your PRC ID, or your professional license, had expired for 5 years and more, you will have to take refresher courses before you can renew it and practice your profession again. Now, I wouldn’t want to do that. So I forced myself into getting a good night sleep, and at 5:30am, I headed off to Manila from Laguna. Yes, that early! The Philippine Regulation Commission opens at 8am, but queues start as early as 6 or 7am. That’s how it works. So, how does one renew an expired PRC ID? Easy. It takes approximately 10-20 minutes, depending on the time of the day and the length of the queues. Things to bring: your old PRC ID, Php 450 (renewal fee) + Php 30 (annual fine for expired IDs), 1 passport-sized ID with white background and name tag, a black pen and a pastetube/glue. 😉 It is also important that you know your board exam date. Now, if you are not familiar with the directions going to PRC and your only option is commuting (taking public transpo), please do yourself a favor and avoid believing websites or individuals telling you that you can take any jeepney or bus with a bold P.R.C. sign on the windshield! If you don’t heed my advice, you might find yourself lost on the streets of the Philippine Racing Club, which is also abbreviated as P.R.C. Again, do not just take any public transportation vehicle with a P.R.C. sign. The safest thing to do is to take any public transpo going to Taft, and then transfer to another transpo mode going to Quiapo. Kindly ask the driver to drop you off at PRC/Morayta. Some jeepneys also have PRC/Morayta signs on their windshields. Take that jeep! Now, once you are at PRC, get a renewal slip from the Information counter, which you will find to your left as soon as you pass the gate. I was expecting to get the big renewal form I saw on some websites (you can print them out and use them), but the staff handed out only a small slip of paper. That’s more economical, if I may say. Fill out the slip and paste your ID picture, and then, proceed to Window 16, Ground Floor of the second building. Give it to the staff, and then, wait for your name to be called. Get your assessment form from Window 17, and then go to the Cashier to pay the Php480 fee. You can pay at Window 23, Window 1, or at the Cashiers outside the building. NOTE: As of December 2015, there is no option for Speed ID or Express or Regular Mailing service. Don’t expect to get your renewed ID after 1 hour, 2 hours, or within the day as you might have read from other websites. 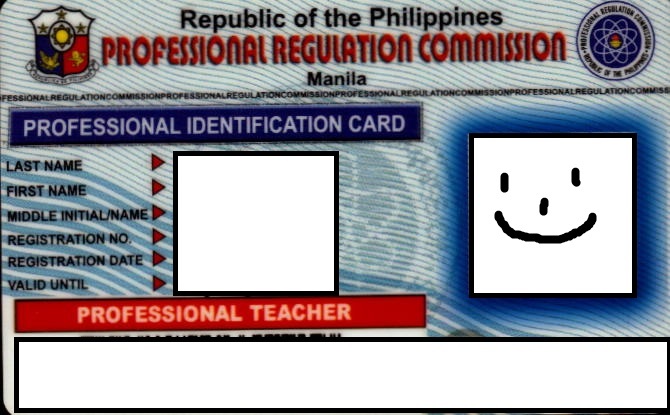 Almost ten years na pong expired ang prc license ko need ko na po ba kumuha ng refresher course? Hi po, mag eexpire po lisensya ko this july 19 at required po ang cpd units, kaso lng po wala aku nyang CPD Units at wala din akung trabaho, Is there a chance na ma-renew ko ang license ko? Salamat po. Hi! I think you should take the required CPD units bago ka magrenew. This post was written Nov2015, so hindi pa need ang CPD units ng mga panahong yun. I suggest you verify sa PRC, sa website nila or by phone. Good luck! Is there any PRC Circular about the taking refresher course after you have failed to renew your ID in 5 or 10 years? Please share. Thanks. Hi po! Gusto ko lang po iverify kung ung 30 Pesos na late fee for renewal is annual fine? May nabasa din kasi ako na 30 Pesos per month na late ka. I’m planning to renew my license this month which expired last 2016. I’m going to renew mine after I’m done with my required CPD units. ill try to post it here if magkano.. Since they currently accept walk-in applications/appointments in my area, I won’t have to wait a month or so like what others say. Very helpful 🙂 Thank you for this information. Hi po. This is very informative. Ask ko lang po sana dun sa nabanggit nyo na after 5 years of expiration dapat nang magtake ng units.. I’m planning po kasi to delay my renewal dahil po sa CPD units na required (120 units po kasi ang required sa accountants). Ang expiration po kasi ng lisensya ko ay sa 2020 pa, nakuha ko po siya ng 2017. 5 years from 2020 po ba ang bilang para makaiwas sa need na magtake ng units? Hi Amie! Since profession-related naman ang units na itetake mo, I don’t think icoconsider nila yan na paglihis or pagLOA sa profesjon mo. Sa pagkakaintindi ko, para sa mga huminto, nagbreak, nagpractice ng ibang profession than the one they are licensed to do, ang required na refresher courses. 🙂 I’m not an accountant, so I’m not sure if it applies for you too. I suggest contacting PRC to be sure. Hi 🙂 I think, wag mo na idelay yung renewal mo since kaya mo pa naman maipon yung 120 units na yan hanggang mag2020. (Esp. if sa auditing firm ka nagwowork) Or kung hindi mo man macomplete, you can still renew your license, you just have to execute your undertaking. Bale yung kulang mo, idadagdag nalang sa requirements sa next renewal (which is 2023). By that time, madami ka na sigurong units.